Major oil companies are joining Silicon Valley in backing energy-technology start-ups, a signal that that those with the deepest pockets in the industry are casting around for a new strategy. 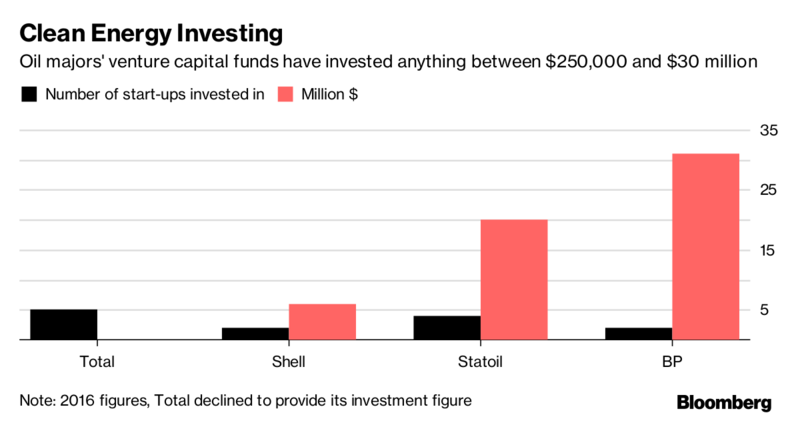 From Royal Dutch Shell Plc to Total SA and Exxon Mobil Corp., the biggest investor-owned oil companies are dribbling money into ventures probing the edge of energy technologies. The investments go beyond wind and solar power into projects that improve electricity grids and brew new fuels from renewable resources. While the money involved is small — a fraction of the $7.5 billion that venture capital and private equity injected into the clean energy industry last year — the funds support work that may evolve into major income streams in the decades ahead as governments work to limit fossil-fuel pollution and global warming. Kite Power Systems, a maker of a kite that flies on wind currents to generate renewable electricity. Glasspoint Solar Inc, a company that has developed a way to make steam for enhanced oil recovery with solar energy. Sense, a start-up that creates devices that monitor home power consumption. United Wind, a company that leases wind turbines to retail customers and small businesses. Off Grid Electric, a Tanzania-based installer of rooftop solar panels that works in low energy-access areas in Sub-Saharan Africa. Tricoya Technologies, a maker of a technology that changes the chemical structure of wood chips to make a building material that’s more durable and energy efficient. Fulcrum, a producer of bio-jet fuel made from municipal waste, which raised $30 million from BP. Solidia, a company that is working on reducing the carbon footprint of concrete. Synthetic Genomics Inc., which studies how to make biofuels from algae. FuelCell Energy Inc., which is developing carbonate fuel cells to capture CO2 emissions from natural gas plants while also producing electricity. Acumentrics, a fuel cell company that can make its products from ceramics. Ensyn, a maker of fuels and chemicals from residue from forests and agriculture. Inventys, a developer of carbon capture technology that traps CO2 from industrial gas streams. ChargePoint Inc., an electric-vehicle charging point operator based in California. Oxford Photovoltaics Ltd., a solar technology company that is developing panels with perovskite. The substance could make traditional photovoltaics as much as 30 percent more efficient. Convergent, a large-scale energy storage developer working on projects with lead acid, lithium-ion and flywheel batteries in the U.S. and Canada. Of course the oil companies have always dabbled in other forms of energy, backing solar after the 1973 oil crisis. Exxon backed nuclear power in the 1980s. 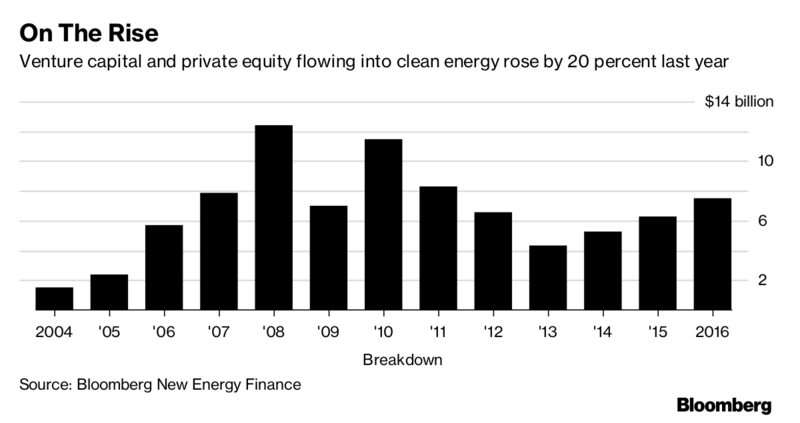 Shell vowed to push into renewables ahead of the landmark Kyoto Protocol on climate change in 1997. Those efforts fizzled when dips in the oil price sharpened the industry’s focus on costs. More recently, Shell has taken big stakes in offshore wind projects, BP revived its wind business and Total pressed into solar through an investment in SunPower Corp.
Big Oil’s push into venture capital adds to the sense that technology is moving rapidly in the energy industry, leaving a question mark over what will dominate supply for the first time in almost a century.